On the evening of August 3, TASCHEN Hollywood hosted Sven Kirsten as he signed copies of his latest release, Tiki Pop. Eager fans arrived early in anticipation of meeting the author and Tiki Sage. Once inside the Polynesian pavilion, guests enjoyed a cocktail served in its very own shrunken-head cup provided by Deadhead Rum. 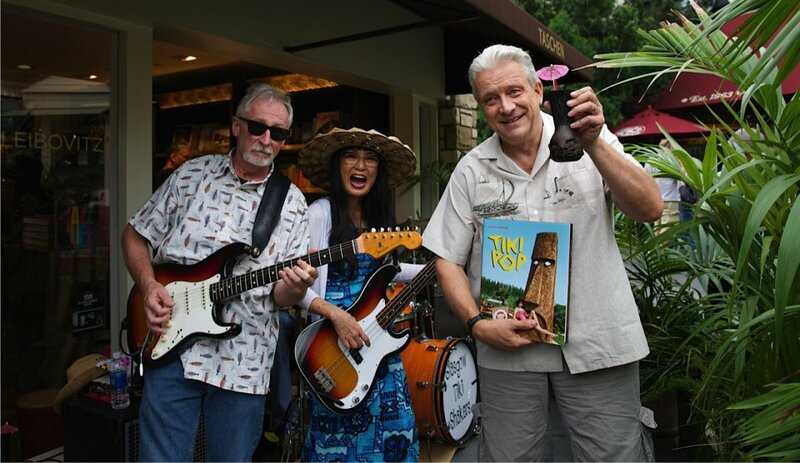 Sven signed copies of his book as The Glasgow Tiki Shakers entertained guests with their surf heavy sound. Special thanks to Sven Kirsten, Deadhead Rum and the Glasgow Tiki Shakers for their generous contributions to the evening.